It’s week 9 of my hobby progress blog! 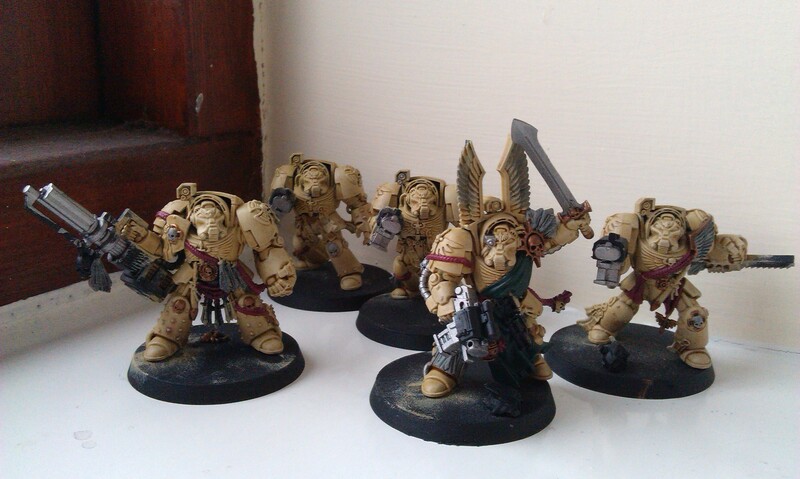 This week has got some exciting news on the progress of my Deathwing Terminators, though is again a smaller update – however, the reason for this is that I’d spent four days out of the country this week, so I feel it’s justified! As I said last week, I was planning to make a serious effort to move with the Deathwing that were started last Christmas. 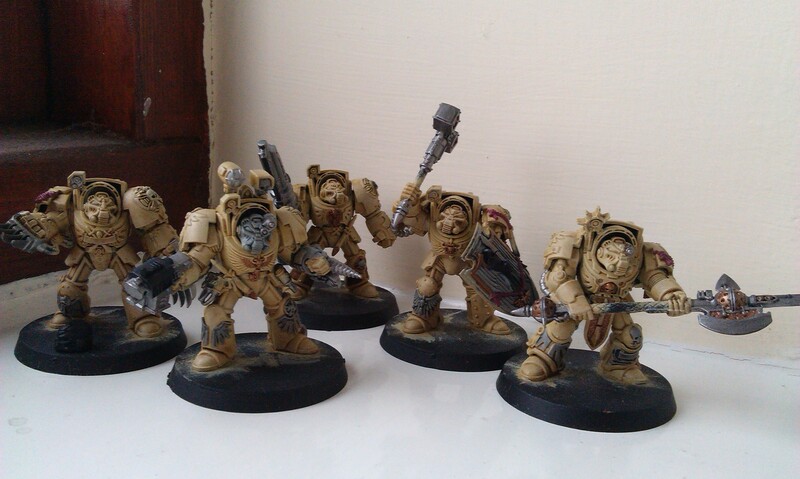 While the Venerable Dreadnought has seen some fairly good progress, the Terminators themselves were still pretty much floundering in a creamy state, having had the armour done and very little else! Well no more! Knowing I was going to be away, I spent a day painting to ensure I’d have something to report when I came to do this blog today, and I think in that respect, doing these regular update blogs has been a real success in motivating me do actually, y’know, work on the miniatures I have scattered around the place! I don’t know if I’ll keep doing this, but I think it helped to outline a plan of operations in last week’s blog, so here I go again! This coming week, I plan to do the finishing details on these Terminators, as well as any outstanding bits on the Venerable Dreadnought. Anything else I do will no doubt be a bonus, but these are the things I want to concentrate on. If I do manage to get anything else done, it’s currently going to be a toss-up between the Stormcast Paladin Protectors and the Ultramarines, both of which have been built up for months. But that’s the plan, and I’m looking forward to seeing how far I go with it! Previous Previous post: Justice League! Next Next post: Enter the Dracoths!